Stressful lives and sedentary lifestyle have made Cholesterol a household name. However, most often, people do not understand the actual relevance of the term and fear the word “Cholesterol” to be a dreaded disease which is nothing but a myth. Cholesterol has further segmentation which would be described in details below. LDL Cholesterol (as discussed below) is the harmful cholesterol which needs to be controlled and the level of HDL cholesterol in the body helps in effectively controlling the levels of LDL Cholesterol. This might force us to think how we can increase the HDL cholesterol with the Indian food and dietary system. Cholesterol is an essential chemical compound which human body requires. This compound is used as a building block to form the cell membranes apart from being an essential component of hormones such as testosterone and estrogen. Most of this chemical compound (almost 80 percent) is produced by the liver of the human body while the rest of it is derived from dietary sources such as fish, meat, dairy products, eggs, and poultry. Plant derived food usually do not contain any cholesterol. The cholesterol content in the human blood is regulated by the liver and presence of too much of cholesterol in the body starts depositing a plaque along the walls of the arteries of the heart which thus narrows the channel of blood movement. Cholesterol cannot travel freely in the blood and is carried by lipoproteins. There are basically three types of lipoproteins, as mentioned below, based on the content of protein as compared to the cholesterol. LDL: This is the short form for Low Density Lipoprotein. This particular lipoprotein contains a higher density of cholesterol as compared to protein. This is the reason why this lipoprotein is thought to be bad cholesterol. Higher levels of LDL in the blood increase the risk of stroke, heart disease, peripheral artery disease due to the formation of cholesterol plaque inside the artery wall. HDL: This is the short form for High Density Lipoproteins. These lipoproteins are made up of higher levels of protein and lower levels of cholesterol, and thus are known to be the good cholesterol. VLDL: This is the short form for Very Low Density Lipoproteins and these contain even lesser proteins than LDL. Just like LDL, VLDL too is associated with plaque deposits. 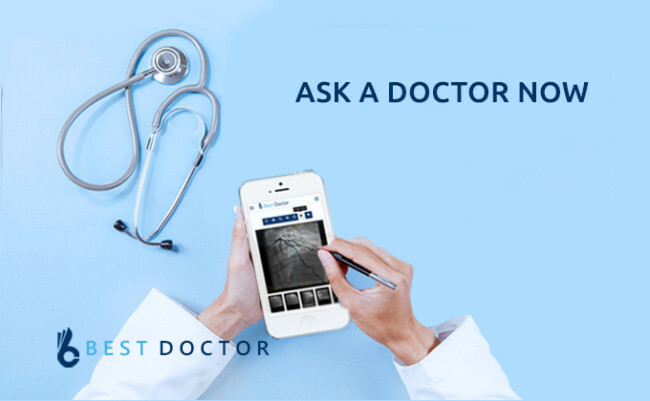 Usually, the blood test reports a certain ratio. Higher the HDL to LDL ratio, higher is the protection the individual gets from stroke, heart diseases and peripheral artery diseases. As far as cholesterol is concerned, diet and genetic predisposition of an individual plays a significant role in determining the cholesterol levels of the individual. Cholesterol is mainly derived from meats, dairy products, and eggs. Overconsumption of these products can increase the LDL levels in the blood. How to Increase HDL Cholesterol with Indian Food? Consumption of Olive Oil – Olive oil has been found to contain the healthiest fats (Monosaturated Fats) which have a direct effect on reducing the risk of heart diseases. Olive oil helps in increasing HDL Cholesterol in the human body because of the presence of Polyphenols – a kind of antioxidant in it. Extra Virgin Olive Oil has higher levels of polyphenols as compared to other processed olive oils. Olive oils also possess antioxidant and anti-inflammatory properties, thus having a positive impact on human health. Following A Ketogenic or Low Carbohydrate Diet – Such a diet help in reducing weight and blood sugar levels apart from increasing the levels of HDL cholesterol. Low carbohydrate diet further help in reducing the levels of triglycerides in the body, thus reducing the risk of heart diseases. Including Coconut Oil in the diet – Coconut oil has been found to reduce the appetite while increasing the metabolic rate of the body. The oil has also been found to be heart healthy in spite of the presence of high saturated fat content since it not only increases the HDL levels but also improves the LDL to HDL ratio. Include purple coloured vegetables and fruits contain antioxidants known as anthocyanins which help in increasing HDL cholesterol. Anthocyanins further help in fighting inflammation and protecting cells in the body from damaging the free radicals. HDL cholesterol can be increased with a vegetarian diet which includes beans, legumes, whole grains, flax, nuts, chia seeds, high fiber fruits, soy, and avocado. Apart from diet, regular exercise, especially high intensity interval training and high intensity circuit training have been found to increase levels of HDL in the body. These exercises help in losing weight which would directly help in increasing the levels of HDL in the body. Smoking has been found to have an adverse effect on lots of health parameters including suppression of HDL cholesterol. Therefore, quitting smoking could not only help in increasing the HDL levels but also improve HDL function and protect heart health for individuals. Apart from these natural tips, there are some ayurvedic medicines and supplements which help in increasing HDL cholesterol. 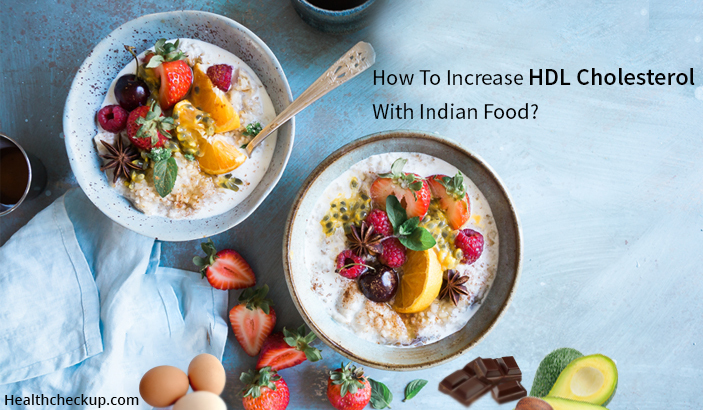 But it is always advisable to increase HDL cholesterol by consuming a healthy diet and this can be done only if one can understand how to increase HDL cholesterol with Indian food.